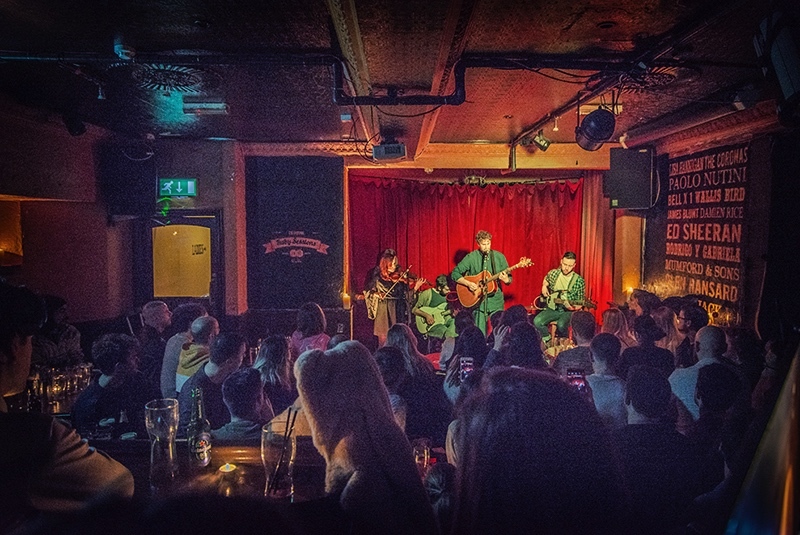 The Ruby Sessions is an acoustic music club held weekly every Tuesday, in the intimate setting of Doyle's of College Street, for the past 19 years. Four original acts play a stripped back set in front of a completely silent candlelit room each week. Since it's inception on April 13th 1999 the Rubys (as it's affectionately called by it's founders Niall Muckian and Conor Donovan), has hosted some of the world's biggest names, along with consistently championing the best in new and emerging talent from around the globe. Its always a special night, and all for a good cause with the entrance fee going to help the fantastic work by the Simon Community, helping the homeless. Last Tuesday’s entertainment was provided by Lisa Gorry, who unfortunately I missed, Niamh Keane, Junior Brother & Moon Looks On. A beautiful night of music, in the finest of company.